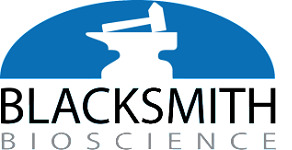 Blacksmith BioScience is a microbial development company. Our goal is to reduce harmful fertilizer and chemical runoff in ecological systems around the world through use of our patented, unique biofertilizers. KenCor Outdoors LLC provides innovative food plot product lines for food plot enthusiast. 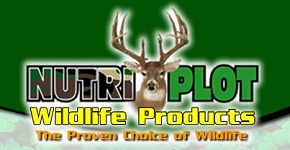 Nutri-Plot Attractant Fertilizer helps to grow fuller plots quicker while increasing wildlife traffic. Earth Juice offers a diverse selection of premium fertilizer products to meet the nutritional demands of all plants. Down To Earth Distributors -- Premium Quality Natural & Organic Fertilizers. Down To Earth is a leading brand of premium organic fertilizer. Our products are widely used by home gardeners, commercial growers, nurseries and garden centers. Organic gardening is now mainstream gardening. Our mission is to support organic gardeners. We understand and value the high-energy natural & organic movement. Since 1929, The Espoma Company has been the pioneer in natural gardening solutions -- from our leading organic plant food, Holly-tone®, to our new Espoma Organic Potting Mixes. Grow More -- broad range of agricultural, horticultural and specialty chemicals. People Create the Value! A global network of more than 3,500 talented agronomists, chemists, engineers and field technicians developing science based solutions. Jobe’s ® Organics® All-Purpose Fertilizer Spikes give gardeners a fuss-free, environmentally friendly option for healthy and beautiful plants. Mastery Nursery brand products are all premium products developed specifically for home gardeners. 100% guaranteed. 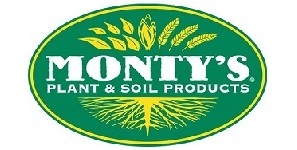 Monty’s Plant Food Company -- Plant and soil solutions for growers around the world. Monty’s Plant Food Company offers a natural soil enhancement and plant fertility program using innovative proprietary technologies designed to maximize a farmer’s yield. We strive to produce safe and effective plant fertilizers and plant nutrients made from natural sources without the use of chemicals or harsh processing. Our fertilizer is made from plants for plants. Xtreme Gardening brings highly effective beneficial biological inoculants to the home gardener. Medina Agriculture Products -- Natural/organic fertilizers. Still today, our Neptune's Harvest Organic Fertilizer gets made from fresh caught North Atlantic fish right on the docks of Gloucester, MA. Liquinox Fertilizer Company -- easy to use liquid fertilizer. Liquinox has been supplying proven fertilizers to commercial customers for years! 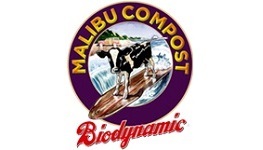 Malibu Compost -- Go Beyond Organic™ .. Malibu Compost Biodynamic®. All our products can be used to plant fruits, vegetables, ornamentals, grasses, roses, trees, lawn and herbs. Turning The Places You Love, Into Places Plants Love To Grow! Our soil treatment products are especially formulated for anything growing in your garden. Organic Laboratories is one of the country’s leading producers and marketers of earth friendly pesticides and fertilizers. All of our products provide the necessary macro and microminerals for long-term, sustainable growth. 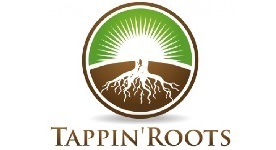 Our mission is to return our soil to its organic roots. 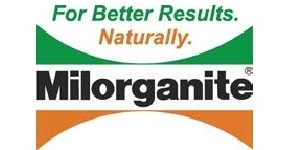 Milorganite products are manufactured and marketed by the Milwaukee Metropolitan Sewerage District (MMSD). Revive’s proprietary formula works with your lawn to provide the natural nutrients and wetting agents that will produce greener results. The #1 water saving fertilizer. At Biodiversity, we put our environmentally conscious awareness into action with a truly remarkable, all natural, organic product and service line. Our Brands: Easy Gardener’s portfolio of brands, consists of Easy Gardener, Jobe’s, Jobe’s Organics, Landmaster, Weedblock, Sunscreen, and Ross. Products bearing the Pennington Seed name have been specially grown and carefully selected to help you grow better grass. Monterey Lawn & Garden -- plant protection chemicals and fertilizers. Sluggo® Plus -- Insect, Slug & Snail Pellets. Kills earwigs, cutworm, sowbugs, pillbugs, crickets, ants (excluding Fire Ants, Harvester Ants, Pharaoh's Ants and Carpenter Ants), slugs, and snails. Bayer Advanced -- Lawn, Garden, Home Care products. Our one-step solutions make it easy to feed and protect lawns, trees, shrubs, roses and flowers through every season. Central Garden & Pet Company is a leading innovator, marketer and producer of quality branded products for consumer and professional use in the lawn and garden and pet supplies markets. PBI-Gordon Corporation is a national leader in professional turf and ornamental management with a line of herbicides, insecticides, fungicides, growth regulators and other products, industry. Preen® Garden Weed Preventers control grass weeds and other weeds, feed plants and help yield a neat, professional landscape. Howard Johnson’s Enterprises, Inc. -- manufactures fertilizers & garden foods. 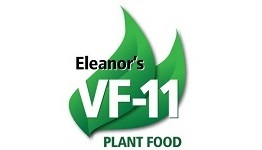 Providing plant & organic garden foods, lawn fertilizers, soil amendments, pasture fertilizers, lawn & garden iron, grub controls, insecticides, fungicides, pesticides, liquid supplements, ice melters. Over the last 80 years Sun Gro® Horticulture has become the leading supplier of superior quality peat moss and peat- and bark-based horticultural growing products.